When you are exposed to revival, that revival demands a response. Real revival is a thing that grips your spirit, because revival is encounter with God, and God grips your spirit. When you see Him. When you encounter Him. When you see Him as He is. Even if you don’t know Him yet, or know Him very well, or want to know Him, revival demands a response. Seeing Him demands a response. And that response is your life. But it’s not specifically revival that cannot be bought. Oh, it is. But it’s more. Jesus cannot be bought. You have to give your life for Him. Oh, you can have dead religion without it costing you your life. You can have the motions without it costing you your life. You can cross things off your Good Christian List day in and day out without it costing you your life. Read a devotional? Did that. Thanked God? Yep, and I just shared a Christian meme on Facebook, so check check check check check. You can have all of those things, and you’ll still be dead as a doornail. Why? Because revival is relationship. Revival is Jesus. Revival is laying on your face before the King of kings and the Lord of lords, kissing the feet that shine like brass and daring to give your life in order to look up into His eyes that burn with fire. In his book The Cost of Discipleship, Dietrich Bonhoeffer wrote, “When Christ calls a man, he bids him come and die.” It was a truth that Bonhoeffer lived on an ongoing basis, and a truth he ultimately and finally lived as well; for he did indeed die a martyr for the cause of Christ. 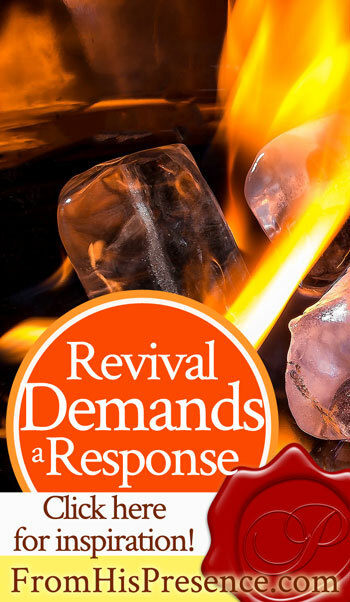 Revival demands a response. And Bonhoeffer stared at Jesus day in and day out, was revived in his spirit with the resurrection power of the Risen One, and decided that Jesus is the only One going after. The same way Jesus stared at Father all the days of His life, and decided that Father is the only One going after. Because encountering God demands a response. What kind of response does it demand? It demands a “Lord, You can have my life and I will live as a sold-out, fasted-out Nazirite for You all the days of my life. Lord, use me to change the world in my generation” response. It demands an “Anything You want, God, You can have. I would go anywhere for You, Jesus. I will do anything You ask me to do” response. It demands an “All I have is Yours, Lord. I would be nothing without You” response. And He’s worth the price. Will you give Him what He is asking for today? This scripture is why you are right. If we will receive his loving forgiveness with clarity of thought recognizing just how fortunate we are then we will want to throw our lives at him without hesitation by our own sense of thankfulness. Sometimes I think people mistake such a message as a demand by God and don’t realize it’s something you’ll want to do yourself as result of understanding coming into your spirit/soul. This time on Earth is Death. Our time in Eternity is true life. Just experienced revival. Thanks for the reminder Jamie. Keep up the good work/heart. Be blessed my friend! Amen, brother. 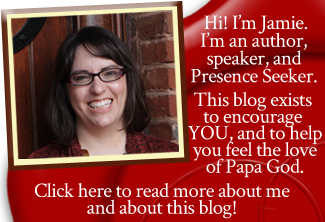 I was so encouraged and heartened by your response. Thank you for sharing your thoughts. God is so good. He’s worth giving our lives for. Jamie, Love all your emails. May you have a bless day. Praise our Lord today I need him everyday in my life. When we check off our list, it’s focusing on us. When we are revived it’s all about Him. Not more doornail, life more abundantly. Please add me to your lisy,iam always blessed to read your encourgements. Done, sister! Thank you SO very much for reading. 🙂 Blessings to you today! Have a wonderful day!